Monita J. Olive, 67, passed away April 26, 2018, from cancer in Katy, Texas. Born in Natchitoches Oct. 20, 1950, to Maxie Welch Jenkins and Harrison Jenkins, she was the middle child to nine brothers and sisters. Monita was a loving wife, mother, grandmother and friend. Her consideration and compassion for others were among her many attributes that will be missed. She was known for her thoughtfulness, never missing someone’s special moment, and always making it a point to let those for whom she cared know she was thinking of them. Monita lived a very active life and stayed connected with her many friends through Facebook, some dating back to her elementary school days. Her many joys included spending time with her grandchildren, baking, knitting, cookbooks, trips to Alaska and cuddling her miniature schnauzer, Heidi. In 1967, Monita married Richard “R.B” Olive at Hickory Grove Methodist Church. When R.B. asked Monita on a first date, her mother only allowed them to attend church. Their first date in 1966 was at Hickory Grove Methodist Church. 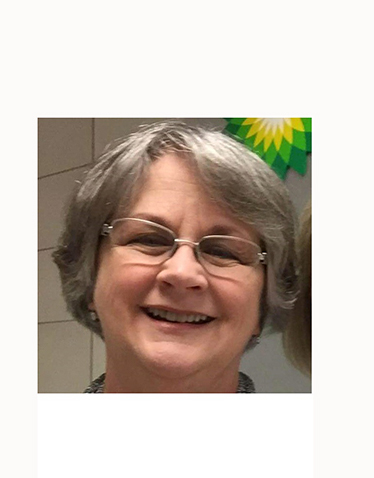 In 2017, Monita retired after 22 years with BP America where she held multiple positions spanning three states, Alaska, California and Texas. Her most recent role was Associate Director of Civic Affairs in Houston. Monita is preceded in death by her parents and five siblings, Mar Jo Jenkins Jennings, Joseph Jenkins, LaFaune Jenkins DuBois, Charles Jenkins and Dawnn Jenkins Jordan. Monita is survived by her husband of 50 years, Richard “R.B.” Olive; her son, Vincent Olive and wife Gladys, and grandsons William and Finn of Palmer, Ak. ; her daughter, Suzanne Olive Salling of Katy, Texas, and granddaughter Madison Salling of Miami, Fla.; and her sisters, Judy Jenkins Long, Hannah Jenkins LaCour and Wafa Dean Jenkins Manasco; and many nieces, nephews and cousins. Friends are invited to a celebration of Monita’s life. Visitation is Friday, May 4 from 4-8 p.m. and Saturday, May 5 from 11 a.m. until the service at 1 p.m. at Hickory Grove Methodist Church, 8673 Highway 6, Robeline. Burial will follow at Beulah Methodist Church, 2279 Highway 487, Marthaville. Family meal will follow at Robeline First Baptist Church, 7739 Oak Street, Robeline. Pallbearers will be six of her nephews, Harrison Jenkins, Huey Jenkins, Andy Manasco, Caleb Manasco, Tony Jordan and Michael Green. The service will be led by life-long friend Mary Jennings. In lieu of flowers, the family has requested donations be made in Monita’s memory to the Beulah Cemetery Fund or the Hickory Grove Cemetery Fund.